One of us (Larry) has long advocated the abolition of the $100 note in the US context and the 500 euro note (aka the Bin Laden) in the European context. We assumed the next step after the ECB’s announcement that the 500 euro note would be phased out would be discussion of the $100 bill and of the particularly pernicious 1000 Swiss franc note. Like everyone else, we were surprised by the dramatic action taken by Indian Prime Minister Narendra Modi to demonetize the existing 500 and 1000 rupee notes. This is by far the most sweeping change in currency policy that has occurred anywhere in the world in decades. First, it impacts notes that are in widespread use, being valued at 7.34 and 14.68 dollars respectively. While it might be argued that since India is much poorer than the United States $15 in India is equivalent to $100 in the United States, the reality is that most Americans in the top 1 percent of the income distribution do not handle $100 bills on even a weekly basis whereas 500 rupee notes are very widely used in India. Second, and more fundamental, actions like those taken by the ECB or those proposed for the US end the creation of new high denomination notes. They do not contemplate declaring what has been legal tender to no longer be legal tender essentially overnight It is the imminent prospect of notes currently held becoming worthless that has created such alarm and disruption in India. Small and medium-sized merchants have seen their shops (which transact mostly in cash) deserted and ordinary Indian citizens have spent the last week in line outside banks hoping to be able to exchange their cash holdings for legal tender. There are also questions of equity and efficacy. We strongly suspect that those with the largest amount of ill-gotten gain do not hold their wealth in cash but instead have long since converted it into foreign exchange, gold, bitcoin or some other store of value. So it is petty fortunes, not the hugest and most problematic ones, that are being targeted. On balance, nothing in the Indian experience gives us pause in recommending that no more large notes be created in the United States, Europe, and around the world. We were not enthusiastic previously about the idea of withdrawing existing notes from circulation because we judged the costs to exceed the benefits. The ongoing chaos in India and the resulting loss of trust in government fortify us in this judgement. On Tuesday, I spoke in Houston at a forum sponsored by the Dallas Federal Reserve. Inevitably given that I was at the Fed, the topic turned to monetary policy. On monetary policy, President Kaplan asked what I thought the Fed should be doing and saying. I suggested four modifications to its current posture. First, it should acknowledge that the neutral rate is now close to zero and it may well remain under 2 percent for the foreseeable future. With the economy growing at below 2 percent over the last year, total hours of work essentially flat for the last 6 months, and with long term inflation expectations declining there is no reason to think we are currently much below the neutral rate. And given that the neutral rate has been trending downwards since well before the financial crisis we have no basis for being confident that it will not continue declining, and certainly no basis for supposing it will increase. Second, it should acknowledge at least to itself that it has damaged its credibility by repeatedly holding out the prospects of much more tightening than the market anticipated, being ignored by the market, and then having the market turn out to be right. It should recognize output and inflation and unemployment would all be closer to their target levels today and in their forecasts if rates had not been increased last December. It should move to bring its stated plans more in line with external expectations regarding how much tightening the economy can tolerate. 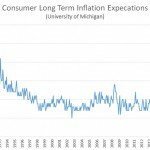 Third, the Fed should make real the idea that its inflation target is symmetric by being clear that in the late stage of prolonged expansion with low unemployment it is comfortable with inflation rising a little bit above 2 percent with the confidence that it will decline when the next recession comes. The Fed does not expect inflation to reach 2 percent until 2018 and the gradient is not steep. So it should be clear that until inflation expectations look to be rising above 2 percent there is no need to restrain the economy. Fourth, the Fed should make clear that it sees risk as asymmetric right now. If the economy falls into recession there is a real risk of a Japan scenario in which it will be very difficult to combat deflation. On the other hand, there is no great risk if inflation drifts above two percent. It might as I have noted actually be desirable. And if not, policy can be tightened to prevent the economy from overheating as has occurred many times in the past. Eric Rosengren, in explaining his dissent on the decision not to raise rates in September, argues that the Fed has historically had a hard time tapping the brakes and that if the Fed has to cool off an overheated economy a recession is likely to result. I am not sure what aspect of history he has in mind here. It certainly is true that the Fed has on occasion reacted strongly to inflation in ways that caused a recession. But on each of those occasions inflation was far beyond desired levels and the recession was the price of bringing it back to desired levels. Rosengren’s case would be made by examples where so much extra slack was induced that the economy undershot on inflation. I am not aware of such instances. Governor Brainard did an excellent job in her recent speech of making the asymmetric risks argument. It is actually a very broad one. A recession would push millions out of work, stunt economic growth, increase inequality, balloon Federal debt and in all likelihood cause our politics to become ever more bitter and toxic. Every prudent precaution to prevent one should be taken. It takes a tortured argument to believe that you can prevent a car from stopping by hitting the brakes. Much better if you want the car to keep going to keep your foot off the brake until and unless you see imminent danger. This is no time for the Fed to be creating uncertainty by raising the specter of interest rate increases at a time when markets do not expect 2 percent inflation in this decade. I have been thinking all day about Shimon Peres and how much I will miss him. I first got to know Shimon in the mid 1990s when I was working in the International Affairs section of the Treasury. It was a time of more optimism than we have today about the efficacy of economic assistance in supporting harmony among nations. We were intensely engaged in supporting economic development in reform in the nations of the Former Soviet Union. Shimon was pushing very hard for various Marshall Plan like schemes for the Middle East referencing the European Community experience in making war within Europe inconceivable after a thousand years of intermittent strife. The White House and the State Department very much wanted to support him in any responsible way. Treasury staff rightly saw a million problems with Shimon’s proposals. There were corruption risks, duplication of already fragmented efforts of the existing development banks, shortages of trained personnel, and real security issues to mention just a few. I have never seen anything like the response of Shimon and his close aide Uri Savir to these problems. They would listen sympathetically and then explain how one could not let obstacles stand in the way of grand vision. I called their interventions “dare to be great speeches”. They were unlike anything I have ever heard in a diplomatic meeting. Little wonder that they persuaded me and many others. Tragically, politics got in the way and much of what Shimon was trying to do did not get done. A lesser man would have been discouraged. Shimon simply persevered looking for any daylight where hope could replace fear. To be sure, there was nothing soft about him. Indeed early in his career he had driven the Israeli nuclear program. But he never stopped standing for hope. Most people who have spent a decade in government let alone a half century become consumed with process, with prerogative, with the next task. Not Shimon. He was always thinking about the value of scientific truth and of beauty. The last time I saw him maybe 9 months ago he shared with me a manuscript addressing the transcendent values that needed to guide civilization going forward. Shimon was an immense presence on the global stage. Most large men make others feel small. Whenever I saw him, I always left elevated feeling there was more I could do to make the world a better place. I am diminished by the knowledge that I will never see him again. The world is now a harsher place. Over the weekend, the FT published my review of Nicholas Eberstadt’s important new book Men Without Work. The core message is captured in the graph below. Job destruction caused by technology is not a futuristic concern. It is something we have been living with for two generations. 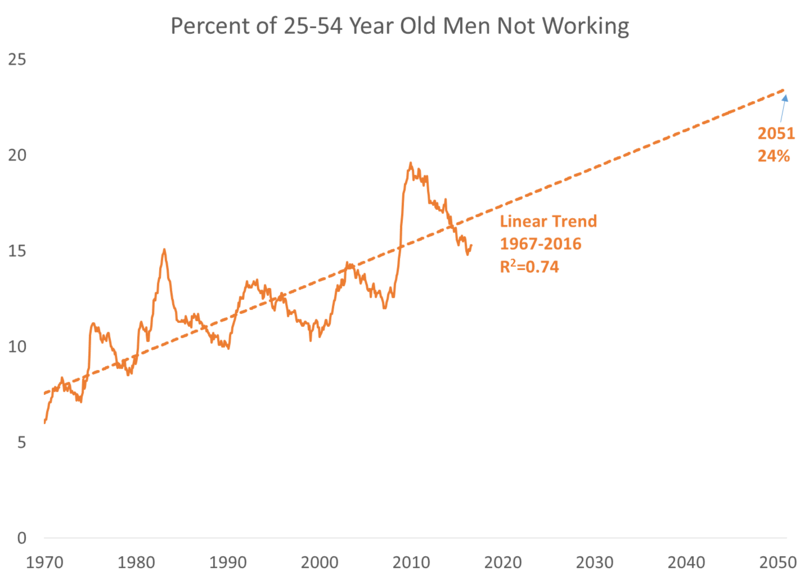 A simple linear trend suggests that by mid-century about a quarter of men between 25 and 54 will not be working at any moment. I think this is likely a substantial underestimate unless something is done for a number of reasons. First everything we hear and see regarding technology suggests the rate of job destruction will pick up. Think of the elimination of drivers, and of those who work behind cash registers. Second, the gains in average education and health of the workforce over the last 50 years are unlikely to be repeated. Third, to the extent that non-work is contagious, it is likely to grow exponentially rather than at a linear rate. Fourth, declining marriage rates are likely to raise rates of labor force withdrawal given that non-work is much more common for unmarried than married men. On the basis of these factors, I expect that more than one-third of all men between 25 and 54 will be out work at mid-century. Very likely more than half of men will experience a year of non-work at least one year out of every five. This would be in the range of the rate of non-work for high school drop-outs and exceeds the rate of non-work for African Americans today. Will we be able to support these people and a growing retired share of the population? What will this mean for the American family? For prevailing ethics of self-reliance? For alienation and support for toxic populism? These are vital questions. Even more vital is the question of what is to be done. These questions should preoccupy social science researchers. They are vital to our future. As I argued in the first blog in this series last week, I was disappointed in what came out of Jackson Hole for three reasons. 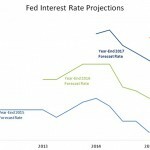 The first reason, developed in that blog, was that the Fed should have signaled a desire to exceed its two percent inflation target during periods of protracted recovery and low unemployment and in this context to signal that a rate increase was off the table for September and quite likely the rest of the year. Friday’s employment report further strengthens the case for delay both by adding to the evidence on the absence of inflation pressures and by suggesting a less robust economy than most expected. Even apart from the desirability of allowing inflation to rise above two percent in a happy economic scenario GDP, labor market and inflation expectations data all make a compelling case against a rate increase. Private sector GDP growth for the last year has averaged 1.3 percent a level that has since the 1960s always presaged recession. 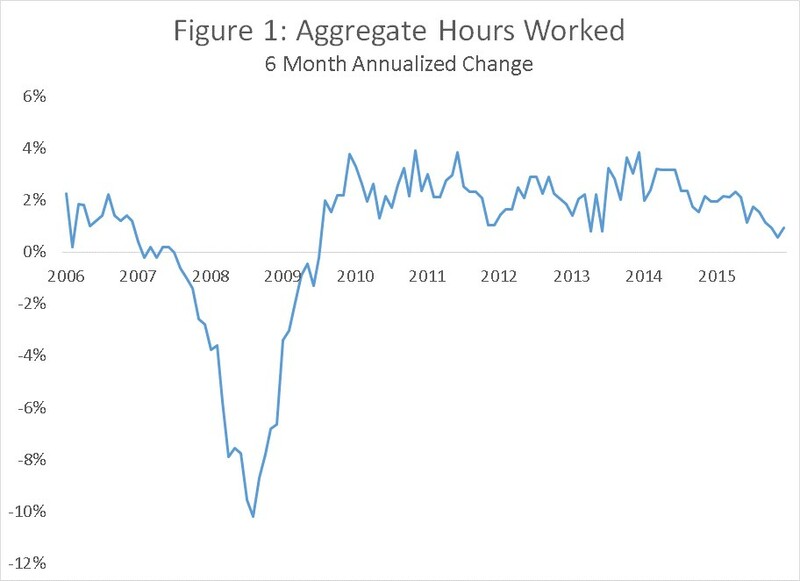 Total work hours have over the last 6 months grown at nearly their slowest rate since early 2010. And both market and survey measures of inflation expectations continue to decline. My second reason for disappointment in Jackson Hole was that Chair Yellen, while very thoughtful and analytic, was too complacent to conclude that “even if average interest rates remain lower than in the past, I believe that monetary policy will, under most conditions, be able to respond effectively”. This statement may rank with Ben Bernanke’s unfortunate observation that subprime problems would be easily contained. Rather I believe that countering the next recession is the major monetary policy challenge before the Fed. I have argued repeatedly that (i) it is more than 50 percent likely that we will have a recession in the next 3 years. (ii) countering recessions requires 400 or 500 basis points of monetary easing. (iii) we are very unlikely to have anything like that much room for easing when the next recession comes. Chair Yellen, relying heavily on research by David Reifschneider using the FRBUS model, comes to the relatively serene conclusion that by using forward guidance and QE policies—or LSAP (Large Scale Asset Purchases) in Fed parlance, the Fed will likely able to respond adequately to the next recession with its existing tool kit. I think this conclusion is unlikely to be right. As Paul Krugman points out Reifschneider, working with John Williams and using the same FRBUS model, concluded that the ZLB was only a very small issue less than a decade before the financial crisis led to an 8 year stretch of zero rates. The market has been consistently wrong for most of the last decade on the ease with which interest rates could be raised by the Fed. And estimates of the neutral rate have been far lower for far longer than anyone would have predicted a decade ago. All of this suggests the need for substantial humility about what the Fed’s capacities will be the next time the economy encounters difficult times. There is an important methodological point here—distrust conclusions reached primarily on the basis of model results. Models are estimated or parameterized on the basis of historical data. They can be expected to go wrong whenever the world changes in important ways. Alan Greenspan was importantly right when he ignored models and maintained easy policy in the mid 1990s because of other more anecdotal evidence that convinced him that productivity growth had accelerated. I believe a similar skeptical attitude towards model results is appropriate today in the face of the clear evidence that the neutral real rate has fallen. I pay attention to model results only when the essential conclusion can be justified with some calculation where I can see and follow each step. Four more specific points deserve emphasis. First, Reifschneider assumes in is base case that the Fed funds rate reaches 3 percent before the next recession and treats as an extreme case the possibility that rates will reach only 2 percent before the next recession. As Jared Bernstein points out market expectations are much more pessimistic than this. 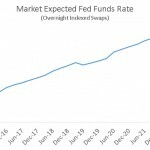 According to the OIS market (basically long term fed fund futures) fed funds are expected even in the long run to rise only to 1.5 percent. This may be a bit misleading because the expected fed funds rate in 2020 of 1 percent includes some probability that it is zero because of a recession. 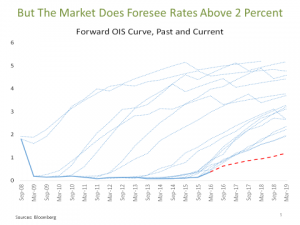 Even so markets, which have been much more right than the Fed so far, are clearly signaling the likelihood that rates will be under 2 percent when the next recession comes. I appreciate that Reifschneider takes seriously the possibility of secular stagnation by including a section on it. However, I fear he is overly sanguine in assuming that even under secular stagnation the Fed will start the next recession with an interest rate of 2 percent, as well as a ten year rate of 3 percent. This seems optimistic given both the market expectations discussed above and the fact that current interest rates are 0.50 percent nearly eight years after the last recession. Second, though he downplays the significance, Reifschneider finds that the Fed will likely not have as much room to cut rates as it would like under the so-called “optimal control” method that Yellen has extolled in the past. Under this method the Fed is attempting to minimize the amount which inflation and unemployment differ from target over a series of years. In his simulations, the Fed is not able to use unconventional policies to fully achieve the equivalent of the nearly 12 percent rate cut it would otherwise desire. This shortfall is in response to a recession less severe than the recent one and with the questionable assumption that the Fed should view unemployment being too low as being as harmful as being too high. Third, I suspect that prevailing views at the Fed about the efficacy of QE and forward guidance substantially exaggerate their likely impact. I don’t think the Fed has taken on board the lesson of the three year period since QE ended. If longer term rates had risen after QE and forward guidance ended, this would surely have been taken as further evidence of their potency. 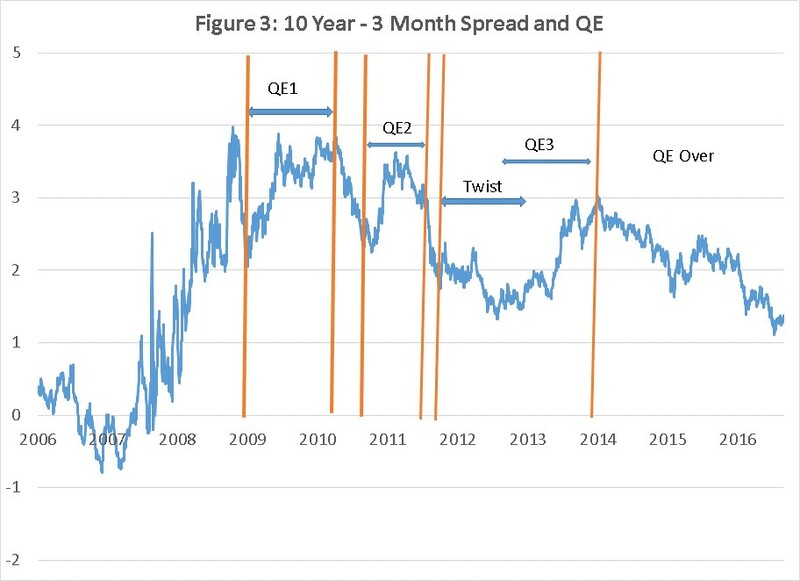 It follows that the fact that term spreads have fallen substantially since the end of unconventional policy as shown in Figure 3 should lead to more skepticism about their efficacy. On the issue of QE Greenwood, Hanson, Rudolph and I show that the contrary to much of the discussion during the QE period the stock of longer term public debt that the market has to absorb went up not down. The amount of longer term Federal debt that markets have to absorb is now as high as it has been in the last 50 years and long rates are extraordinarily low, as are term spreads. This calls into question the idea that price pressures caused by changing relative supplies are likely to have large impacts at times like the present when markets are functioning. I wonder what credibility Fed forward guidance is likely to have given the utter disconnect over many years between Fed and market views regarding future rate and the track record so far of the Fed being wrong and the market being right. Fourth, even if unconventional policy could be highly efficacious in moving long term rates and even if QE induced moves in long rates were potent, there is the question of how much room there is to bring down long rates. Reifschneider in his very careful paper shows that with a big recession rates would likely approach -6 percent, or even -9 percent, but for the zero lower bound. I find the idea that forward guidance and QE could do the anything like the work of 600, let alone 900, basis points of rate cutting close to absurd. 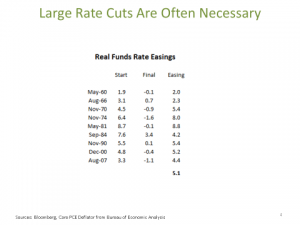 Both QE and forward guidance are said to work by bringing down longer term rates. The 10 year Treasury is now in the 1.6 percent range. If the Fed returned Fed Funds to its lower bound level in the context of a recession, I would expect to see 10 year rates fall substantially perhaps to 1 percent without any QE or forward guidance. How much room is there for unconventional policy to bring them down further? Reifschneider ‘s assumption that there will be room for unconventional policy to bring down 10 year rates by hundreds of basis points seems to me very doubtful. To put the point differently, typically in recessions the 10 year Treasury has declined from peak to trough by around 1.8 percentage points. Even if the rate got to European or Japanese levels, surely an unappealing prospect, there may not be enough room to bring down long rates to assure prompt recovery. On balance, I think the Fed’s complacency about its current toolbox is unwarranted. If I am wrong in either exaggerating the risks of recession or understating the efficacy of policy, the costs of taking out insurance against a recession that cannot be met with monetary policy are relatively low. If I my fears are justified, the costs of complacency could be very high. The right policy in the near term should be tilting as hard as possible against recession as argued in the first blog in this series. For the longer term the Fed will have to reconsider its broad policy approach. This will be subject of my next entry. I had high hopes for the Federal Reserve’s annual Jackson Hole conference. The conference was billed as a forum that would look at new approaches to the conduct of monetary policy—something that I have been urging as necessary given secular stagnation risks and the sharp decline in the apparent neutral rate of interest. And Chair Yellen’s speech in a relatively academic setting provided an opportunity to signal that the Fed recognized that new realities required new approaches. The Federal Reserve system and its Chair are to be applauded for welcoming challengers and critics into their midst. The willingness of many senior officials to meet with the Fed Up group is also encouraging. And its important for critics like me to remember that the policy explorations of today often become the conventional wisdom of tomorrow. In this regard the fact that the Fed has now recognized that the decline in the neutral rate is something that is much more than a temporary reflection of the financial crisis is a very positive sign. On balance though, I am disappointed by what came out of Jackson Hole judging by press reports since I was not there. First, the near term policy signals were on the tightening side which I think will end up hurting both the Fed’s credibility and the economy. Second, the longer term discussion revealed what I regard as dangerous complacency about the efficacy of the existing tool box. Third, there was failure to seriously consider major changes in the current monetary policy framework. I shall argue each of these points in a blog series this week. At the outset however, it is important to recognize that the Fed has not earned the right to be intellectually complacent or to expect that others will have faith in its current policy framework. Given the Great Recession and its forecasting record, it is not surprising that Gallup has found that public confidence in the Fed has sharply declined in recent years, though it has increased recently. For nearly a decade, since the mid 2008 FOMC meetings where many believed that the worst had past, the Fed been too serene about the economic outlook and a return to past regularities. When the Fed predicted last December that it would raise rates four times in 2016, market participants saw a disconnect from reality. It has been that way for a long time. 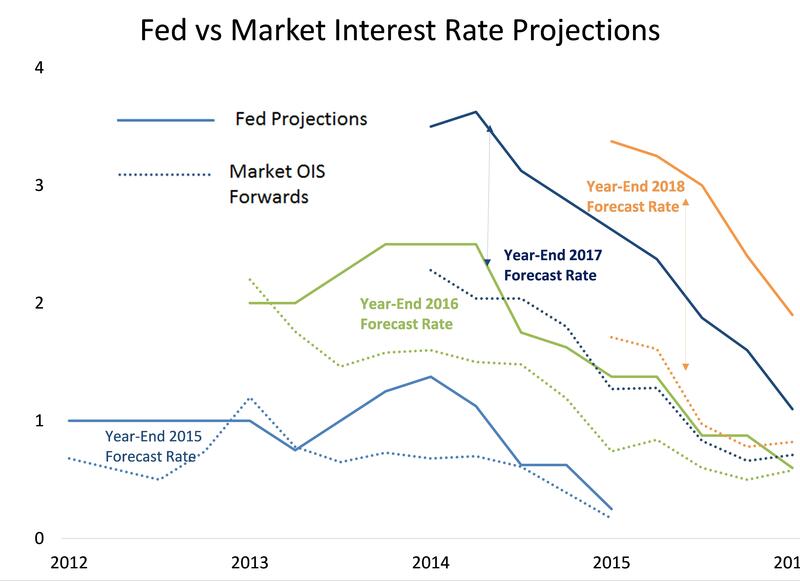 Figure 1 shows the Fed’s forecasts of its future monetary policies since they began releasing them. The Fed has always believed that rate increases and normalization were around the corner but never been able to deliver. 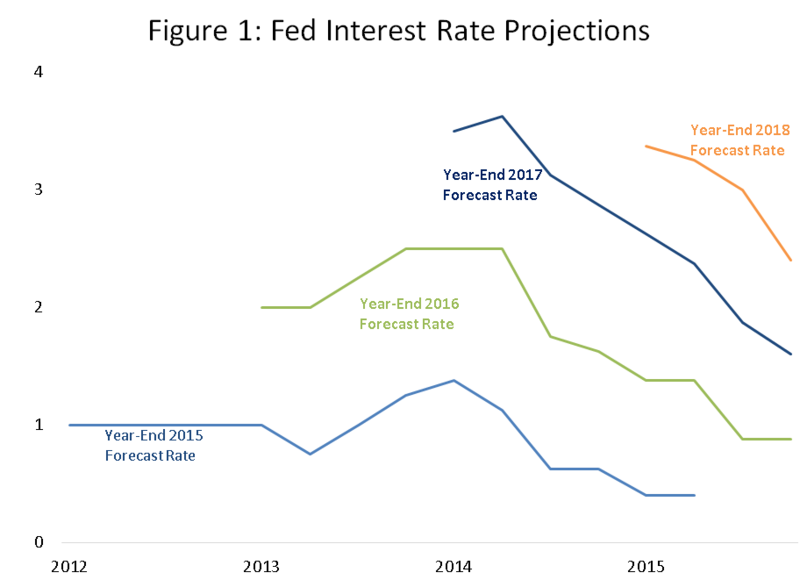 Figure 2 looks at the current situation showing the “dots” reflecting Fed forecasts and the market’s prediction of future interest rates. The divergence between the market and even the dovish end of Fed forecasts is clear. Chair Yellen in Jackson Hole basically repeated the existing Fed position that rates would be raised at some point when the data were clear that the economy was strong and inflation reaching two percent. Markets took the remarks as mildly dovish until Vice Chair Fischer was seen on CNBC as interpreting the Chair as implying that two rates increases by the end of the year were possible at which point interest rates across the spectrum rose fairly sharply and stock prices fell. The right signal to have sent in my view was very dovish. The Fed has emphasized that its two percent inflation target is a symmetric one. Its current forecast is for a strong economy that will next Spring enter its 9th year of recovery. If inflation should not be allowed to rise a bit above two percent in such circumstances, how can it be expected to average two percent over time given that recessions and downturns at some point are inevitable? 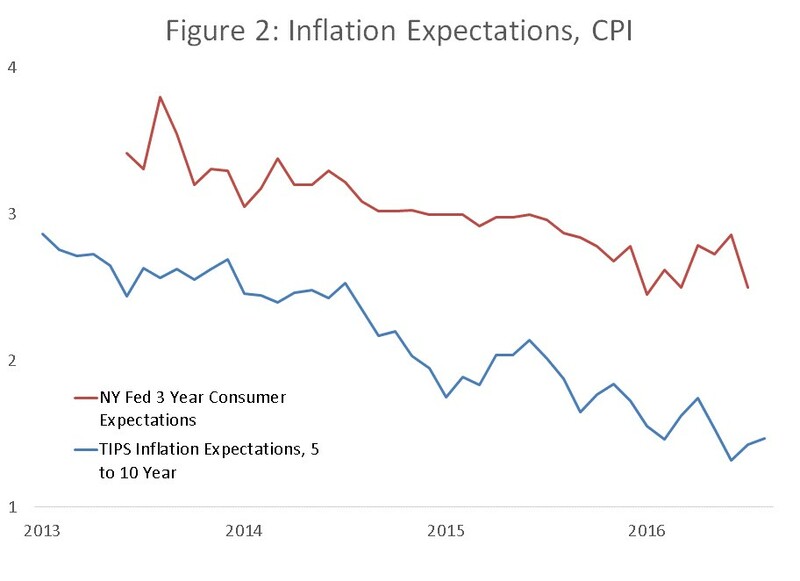 I hoped that the Fed would make clear that it would tighten only when there appeared a real risk of inflation expectations rising above two percent. At a time when market forecasts of inflation on Fed’s preferred price index are in the range of 1.2 percent, this is very likely some time off. Some are skeptical of market measures of inflation expectations. 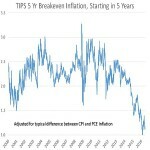 Note that survey measures of long term inflation expectations for both professionals and consumers are near historical lows and if anything have declined over the last year. Additional points that I would have thought appropriate in commenting on near term policy include: (i) With current estimates of the real neutral rate running near zero and there being a downward trend it is far from clear that current policy is highly expansionary. (ii) It is plausible that hysteresis effects account for some of the decline in productivity growth and that if so allowing for rapid demand growth might have lasting supply side benefits. (iii) If a two percent inflation target was appropriate when the neutral real rate was thought to be two percent and stable, surely a higher target is appropriate when the neutral real rate is zero and unstable. (iv) In contrast to the risks of inflation exceeding two percent ,which are likely very small, the risks of a downturn are very serious. (v) The apparent rigidity of inflation expectations and insensitivity of inflation to measures of slack create extra uncertainties about the conventional idea that unemployment rates in the 4.5 percent range risk accelerating inflation. I agree with Chair Yellen’s observation that the case for a rate increase now is stronger than it was a few months ago. The economy certainly does appear to be gaining strength in the second half of the year, the Brexit shock has been easily absorbed, and markets are unusually calm. But to say that the case for a rate increase has strengthened is not to say that it has reached the point of being persuasive. Even if the September employment report is strong, I do not see a case for a September rate increase. There is no imminent danger of repeating the 1970s experience where inflation expectations ratcheted up leading to stagflation. If a greater than 1/3 chance of a rate increase in September was not in markets, the cost of credit for small business would be lower and mortgage rates would decline. Employers would be more confident about hiring. And pressures would be removed from emerging markets. The world economy would be more robust. John Williams has written the most thoughtful piece on monetary policy that has come out of the Fed in a long time. He recognizes more explicitly than others that r* (r-star), the neutral interest rate, is now very low and quite likely will remain very low for a long time to come. As he recognizes, this the essence of the secular stagnation concern that I and others have been expressing for the last 3 years. I now believe that it just as reasonable to suppose that neutral rates will fall further as it is to suppose they will revert towards historically normal levels. First, there is a kind of hysteresis in rates in which a lower interest rate today tends to lower the neutral rate in the future. To the extent that low rates stimulate spending by pulling forward investment, low rates today reduce neutral rates tomorrow by moving investment forward. Second, major structural factors like rising inequality, slowing labor force growth, lower capital goods prices, slowing productivity growth and more capital outflows from developing countries appear to represent continuing trends. Third, there is the prospect that the growing expectation that rates will be low for a long time decreases the spending of target savers and interferes with financial intermediation. Wlliams rightly if rather tentatively draws the conclusions that a chronically very low neutral rate has important policy implications. He stresses the desirability of raising r* by pursuing structural policies to raise growth and affirms the importance of fiscal policy. I yield to no one in my enthusiasm for improved education and educational opportunity but I do not think it is plausible that it will change the neutral rate appreciably in the next decade given that the vast majority of the 2030 labor force will be unaffected. If Williams is overenthusiastic on education, he is under enthusiastic on fiscal stimulus. He fails to emphasize the supply side benefits of infrastructure investment that likely enable debt financed infrastructure investments to pay for themselves as suggested by DeLong and Summers and the IMF. Nor does he note at current interest rates an increase in pay as you go social security could provide households with higher safe returns than private investments. More generous Social Security would likely reduce the saving rate, thereby raising the neutral interest rate with no change in budget deficits. Nor does Williams address the possibility of tax measures such as incremental investment credits or expansions in the EITC financed by tax increases on those with a high propensity to save. The case for fiscal policy changes in the current low r*’environment seems to me overwhelming and much can be accomplished without any increase in deficits. Moreover even accepting the current framework, I find the current policy framework hard to comprehend. If as it asserts, the Fed is serious about the 2 percent inflation target being symmetric there is an anomaly in its forecasts. Surely if, as the Fed forecasts, the economy enters a 10th year of recovery with unemployment below five percent inflation should be expected to be above 2 percent at that point. How else could inflation average 2 percent over time given the likelihood of downturns and recessions? Finally there is this: Everything we know about business cycle history suggests an overwhelming likelihood that there will be downturns in the industrial world sometime in the next several years. Nowhere is there room to cut rates by anything like the normal 400 basis points in response to potential recession. This is the primary monetary and indeed macroeconomic policy challenge of our generation. I hope it will be very much in focus at Jackson Hole. Two longtime friends of mine, Chip Case and Michael Elliot, died within the last week after battles with long illnesses. In different ways, they illustrated something I think is very important—that you can think superbly as an economist and act and live in an extraordinarily humane way. Chip was a professor at Wellesley for the last forty years. To the wide world he is best known for his collaboration with Robert Shiller on the Case-Shiller home price indices. These indices, based on houses that are sold repeatedly, are the best tool economists have for tracking developments in the all-important housing market. Those who know him well know that the economics profession had no more dedicated and inspiring a teacher. Chip had time for every student and treated with equal interest the brilliant ones headed for careers as research economists and those who struggled to understand what elasticity meant. I doubt there is any man anywhere who has done more to encourage women to pursue careers in economics than Chip did while teaching at Wellesley. Chip’s warm optimism was an inspiration to all who had the opportunity to work with him. I remember hi saying once that he thought his Parkinson’s had actually improved his golf swing by by weakening his right arm! And because he thought his students could do anything, they did much more than others would have thought possible. Most economists run with the pack and do what is most rewarded by our profession. They focus on research using existing data to fill in holes in the literature. Chip charted his own course of total dedication to students and of doing research that involved developing primary data. He was as content and happy as any friend I have, and he deserved every bit of the joy that was part of his life. Michael, for most of the time that I knew him, was a journalists’ journalist. He served in major editorial roles at The Economist, Time and Newsweek. He was interested in everything and able to see every point of view. Unlike so many reporters and editors, he had no axe to grind. I have never been covered in a more fair-minded way than when Michael was in charge. You could not predict with confidence where he would come out on any given issue. But you could always be confident that when he came to an issue he would have something to say that was novel and worthy of serious reflection. For the last five years Michael served as the CEO of ONE—an enormously effective advocacy group for global development founded by Bono. As a board member it was my privilege to watch Michael lead. He never failed to bring intellectual rigor to every question: whether it was how best to raise funds or what priorities with respect to global poverty were most important. But he also never failed to recognize how morally important and practically consequential ONE’s advocacy was. And he always saw and brought out the best in every one of his colleagues. Michael was truly a happy warrior as he fought global poverty. Michael, even after his diagnosis, was always positive. On those rare instances when he was frustrated, he channeled this energy into his journalism and his advocacy. His smile and his laughter were never forced; they reflected his genuine joy in his work. He was proud and he should have been. Millions of desperately poor people around the world who have never heard of Michael or even of Bono will live better lives because of the work Michael did at ONE. I am deeply saddened by the loss of these two men, but so privileged to have known them and have learned from their great examples. CBO is an American national treasure. Without the impartial objectivity it brings to the budget process our country would make much worse policy. Baseball without an umpire would be a very different game, and similarly the making of budget policy without CBO would be a very different and inferior activity. However, even the best umps occasionally blow a call and I am afraid that is what CBO has done in its recent infrastructure report. An acknowledgment at the outset: I have been a strong advocate of infrastructure investment for years and have even argued that debt financed infrastructure is likely to reduce deb-to- GDP ratios because of the growth bump from infrastructure. This argument has been taken up by the IMF and many others. So I am not neutral on this subject. My views come in part from a simple calculation. Imagine an infrastructure project that costs $1 and yields a modest 5 cents a year in real return forever, in terms of higher GDP. The project thus has a 5 percent social rate of return. Tax collections will rise by about 1.5 cents a year. 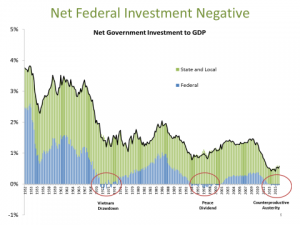 With the indexed bond market suggesting federal real borrowing costs that are negative for 10 years and 50 basis points for 30 years, the government will come out ahead on the investment. Now, as Brad DeLong and I pointed out a few years ago, matters are more complex than this particularly because capital depreciates, and because infrastructure projects have other effects, but the basic point continues to hold. So, I was very surprised to read the June CBO report on the consequences of federal investment. It assumes, from its reading of the literature (also here), as its central base case what it calls a 5 percent rate of return on infrastructure investment but then finds that the payback effect of infrastructure investment on the federal deficit is very small, contradicting my earlier claims and more importantly raising doubts about the desirability of a big infrastructure push. Why the discrepancy? After carefully reading the report, and speaking at some length with CBO officials, I think I understand at least one aspect of it. CBO uses the term “rate of return” in a way that is very different than what I would regard as standard usage. They take a 5 percent rate of return to mean that one dollar more capital produces five cents more output. This turns out to be quite different from assuming that investments in public capital earn a 5 percent return. For example, CBO does not subtract depreciation in calculating their rate of return unlike what is standard in the private sector. Nor, contrary to what I would have assumed was natural, do they suppose that rates of return are reduced by the fact that on their (questionable) assumptions it takes many years for dollars invested to turn into capital. (Think of R&D as an example here). Adjusting for these factors, CBO is actually assuming an economic return a little above 2 percent on public investment and then concluding it will not help much. If one assumes that public investment is basically unproductive, it is no surprise that it does not yield large economic benefits. There is still the question of if the 5 percent rate of return is misdescribed, whether or not CBO has made a reasonable judgement about the productivity of public investment. I’m pretty skeptical. They rely on aggregate econometric estimates of an elasticity of GDP with respect to public capital. Such estimates are plagued by all sorts of problems of heterogeneity, simultaneity, limited variation in the exogenous variables and so forth. I would prefer to build up from individual projects by looking for example at estimates of the return on fixing potholes, building dams, or repairing water systems. I think anyone taking this kind of ground up approach will conclude that the social return to public investment is far higher than 2 percent. This is, of course, a matter of judgement. There are other, probably lesser, problems with CBO’s work. Much of the adverse effect of public investment on the budget in their work comes from an assumed increase in interest rates resulting from budget deficits. This assumption would have been natural once, but is much less compelling in the current liquidity trap, possible secular stagnation environment. They also haircut the return to federal investment by assuming that it crowds out state and local investment but do not recognize explicitly the benefits of less state and local borrowing. And they focus on deficit impacts rather than the more appropriate question of impacts on debt-to-GDP ratios. On balance, I do not think anyone should change her mind about public investment based on CBO’s analysis. Great umpires never change their minds. But they do learn from their mistakes. I hope CBO will do better next time out. The US 10 and 30 year interest rates today reached all time low levels of 1.32 percent and 2.10 percent. Record low 10 year interest rate were also registered in Germany, France, Switzerland and Australia. Notably Swiss 50 year interest rates are now for the first time negative. Rates out 15 years are negative in Germany and 9 years in France. Such rates would have seemed inconceivable a decade ago and very unlikely even a couple of years ago. I remember my parents paying off their 30 year mortgage on the house I grew up in during 1991 and thinking that the 4.5 percent rate they paid was some kind of antique the likes of which would never be seen again. At the beginning of this year US 10 year rates were 2.27 percent and there was a general view that they would rise sharply to perhaps 3 as the Fed began to tighten. As Table 1 makes clear extraordinarily low rates reflect both subtarget expected inflation even over long horizons and very low real interest rates. Note that the real interest rates exceed reported for TIPS because I have adjusted yields to reflect the 35 basis point average difference between the Consumer Price Index used in calculating TIPS coupons and the Personal Consumption Expenditures deflator targeted by the Fed. 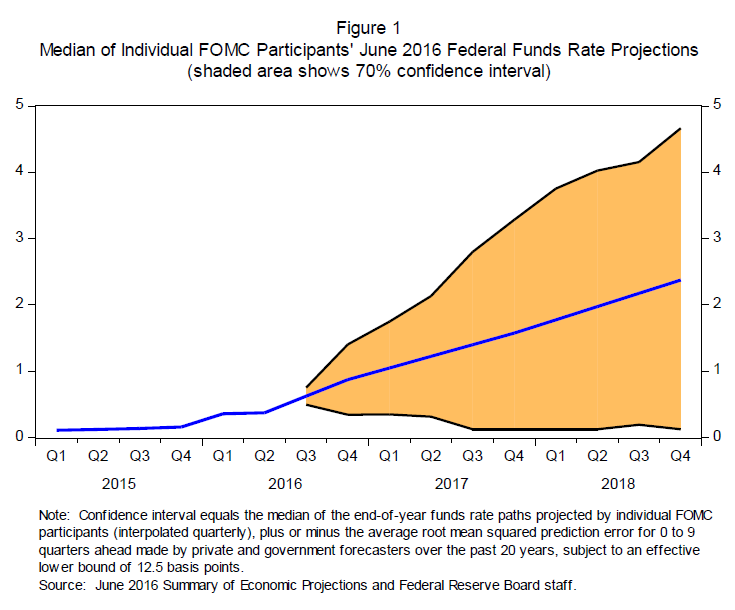 The Fed Funds futures market provides a window into market thinking regarding the likely path of monetary policy. Remarkably the market does not now expect a full Fed tightening until early 2019. This is despite all the Fed speeches expressing optimism about the economy and a desire to normalize interest rates. I believe that these developments all reflect a growing awareness of the importance of the secular stagnation risks that I have highlighted over the last several years. There is a growing sense that the world is demand short—that the real interest rates necessary to equate investment and saving at full employment are very low and may be often unattainable given the bounds on nominal interest rate reductions. The result is very low long term real rates, sluggish growth expectations, concerns about the ability even over the fairly long term to get inflation to average 2 percent, and a sense that the Fed and the world’s major central banks will not be able to normalize financial conditions in the foreseeable future. Unfortunately markets have been much more aggressive in responding to events than policymakers. While there are some signs of recognition such as the Fed’s reduction in its estimated neutral rate from 4.5 percent to 3.0 percent during the last 2 years, the IMF’s explicit use of the term secular stagnation in its World Economic Outlook, ECB president Mario Draghi’s call for global coordination and greater use of fiscal policy, and Japan’s indicated interest in fiscal-monetary cooperation, policymakers still have not made sufficiently radical adjustments in their world view to reflect this new reality of a world where generating adequate nominal GDP growth is likely to be the primary macroeconomic policy challenge for the next decade. Having the right world view is essential if there is to be a chance of making the right decisions. Here are the necessary adjustments. First, with differences between countries, neutral real interest rates are likely close to zero going forward. 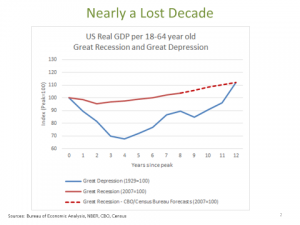 Think about the USA, where growth has been relatively robust by recent standards. Growth has averaged little more than potential for the last 1, 3 or 5 years while the real Federal Funds rate has been around -1 percent. There is no good reason to think given sluggish investment expectations that the neutral rate will rise to be significantly positive in the foreseeable future. The situation is worse in other countries with more structural issues and slower labor force growth. Substantial continued reductions in Fed estimates of the real neutral rate lie ahead. Second, as counterintuitive as it is to central bankers who came of age when the inflation of the 1970s defined the central banking challenge, our problem today is insufficient inflation. In the United States, Europe and Japan markets are now expecting inflation that is below target even with full employment over the next 10 years. This is despite a 70 percent rise in the price of oil. Evidence from markets and some surveys suggests that inflation expectations are becoming unhinged to the downside. The policy challenge with respect to credibility is exactly the opposite of what it has been historically—it is to convince people that prices will rise at target rates in the future. This is likely to require some combination of very tight markets and mechanisms that give confidence that during the best times inflation will be allowed to exceed target levels so that over the long term they can average target levels. Third, in a world where interest rates over horizons of more than a generation are far lower than even pessimistic projections of growth, traditional thinking about debt sustainability needs to be discarded. In the United States, UK, Euro area and Japan the real cost of even 30 year debt will be negative or negligible if inflation targets are achieved. Indeed, the conditions Brad Delong and I set out in 2012 for expansionary fiscal policy to pay for itself are much more easily satisfied today than they were at that time. Fourth, the traditional suite of structural policies to promote flexibility are not especially likely to be successful in the current environment, though some structural policy approaches such as removal of restrictions on investment are still desirable. Indeed in the presence of chronic excess supply structural reform has the risk of spurring disinflation rather than the contributing to a necessary increase in inflation. There is in fact a case for strengthening entitlement benefits so as to promote current demand. The key point is that the traditional OECD type recommendations cannot be right as both a response to inflationary pressures and deflationary pressures. They were more right historically than they are today. There is much more to be said about policy going forward. But treatments without accurate diagnosis have little chance success. We need to begin with a much clearer diagnosis of our current malaise than policymakers have today. The level of interest rates provides a very strong clue. U.K. voters will decide on Thursday whether or not the U.K will withdraw from the European Union. At one level it is a fundamental political choice. Does the U.K. want to face the world alone as a limited scale island nation or to remain an influential part of the European Union—the world’s largest economy? Does the U.K. want to stand apart from Europe or try to shape it at this complex hour in global affairs? These are not questions which an American should presume to answer. But Thursday’s choices will have immediate financial and economic consequences. And they can be assessed by outside economists. My judgements are I believe widely, though not universally, shared by both progressive and conservative global financial and economic analysts. Put simply, Brexit could well be the worst self-inflicted policy wound by a G7 country since the formation of the G7 forty years ago. It is a risk no prudent policymaker would take. And the risk is not confined to the UK. In the current context, Brexit would unsettle the global economy and possibly tip it into recession. Four points are crucial. First, unlike almost all other economic policy choices, Brexit is irreversible. Francois Mitterrand’s lurch towards socialism, Ronald Reagan’s excessive tax cuts, and Japan’s encouragement of bubbles were all egregious errors but all were reversed, albeit not before substantial damage had been done. Divorce can be reversed by remarriage if regretted. There is no reversing Brexit if it proves unwise. Indeed given the EU’s very strong incentive to discourage further dissolution, it is far from clear that there would even be concerted efforts to minimize its cost. Second, markets are likely to suffer extraordinary volatility in the wake of Brexit. A Black Friday could follow referendum Thursday. It is likely that foreign investors in British stocks would lose 15 percent off the bat, adding together market declines and currency losses. This is a judgement supported by the gyrations in markets induced by relatively small fluctuations in the perceived chance of Brexit and by the very high prices commanded by out of the money options. The truth is that even with all the regulatory changes that have been put in place we do not know for sure how the financial system will respond. A return of systemic risk as large losses lead to cascading liquidations cannot be ruled out. At a time when central banks have far less ammunition than they did in 2008, the consequences could be grave. Third, Brexit will undermine confidence and increase uncertainty. No one knows what the new structure will be or how soon it will emerge. Quite likely Brexit would lead to changes not only in Britain’s relationship with Europe but within Europe itself. While businesses wait to see what happens, they will hold off on new investment. Some will decide that it is much safer to base European operations outside the U.K. Others will simply avoid hiring until matters are clear. There exist contingency plans to move hundreds of thousands of financial sector and other workers out of the UK. If matters play out slowly, they may be acted on. Given adverse markets, huge uncertainty, the likely absence of either expansionary fiscal policy (because of government policy commitments) or incrementally expansionary monetary policy (because of lack of room to cut rates), I believe Brexit would likely be followed by a recession in the UK. Fourth, Brexit would quite likely have large contagion effects. So irrational and dangerous an act in a traditional bastion of mature democracy would prompt a global reassessment of the likelihood of dangerous populist policy. The result could be large and destabilizing asset price declines and capital flows towards assets like gold and the Swiss franc. A vicious cycle of falling asset prices, reduced confidence and further declines could ensue. I am reminded of the Smoot-Hawley tariff and the Depression. No direct calculation of its impact can explain more than a tiny part of the Depression. But it may have been a psychological tipping point. Brexit too could have global effects that dwarf its direct impacts. As the Fed meets today and tomorrow, I am increasingly convinced that while they have been making reasonable tactical judgements their current strategy is ill adapted to the realities of the moment. Exuding soundness is the task of policymakers. Provoking thought is the task of academics. So here are some not entirely formed reflections. Japan’s essential macroeconomic problem is no longer lack out output growth. Unemployment is low. Relative to its shrinking labor force, output growth is adequate by contemporary standards. Japan’s problem is that it seems incapable of achieving a 2 percent inflation. This makes it much harder to deal with debt problems and leaves the Japanese with little spare powder if a recession comes. I am reluctantly coming to the conclusion that the United States may be on a slow-motion trajectory towards a Japanese chronic lowflationary or even deflationary outcome. A corollary of this view is that the current hawkish inclination of the Fed, with its chronic hope and belief that conditions will soon permit interest rate increases, is misguided. The greater danger is of too little rather than too much demand. A new Fed paradigm is therefore in order. Any consideration of macro policy has to begin with the fact that the economy is now seven years into recovery and the next recession is on at least the far horizon. 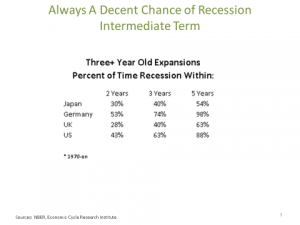 While recession certainly does not appear imminent, the annual probability of recession for an economy that is not in the early stage of recovery is at least 20 percent. The fact that underlying growth is now only 2 percent, that the rest of the world has serious problems, and that the U.S. has an unusual degree of political uncertainty all tilt toward greater pessimism. With at least some perceived possibility that a demagogue will be elected as President or that policy will lurch left I would guess that from here the annual probability of recession is 25-30 percent. This seems to me the only way to interpret the yield curve. Markets anticipate only about 65 basis point of increase in short rates over the next 3 years. 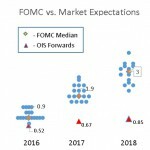 Whereas the Fed dots suggest that rates will normalize at 3.3 points, the market thinks that even 5 years from now they will be about 1.25 percent. Markets are thinking that recession will come at some point and when it does rates will go to near zero. As a rough calculation, if it is assumed rates will be raised twice a year with continued growth than the 85 basis point estimate for fed funds in December 2018 implies a 50 percent chance of recession by then. So both history and markets are telling us that we are in the shadow of possible recession. What does this mean? First it implies that if the Fed is serious — as it should be – about having a symmetric 2 percent inflation target then its near term target should be in excess of 2 percent. Prior to the next recession — which will presumably be deflationary — the Fed should want inflation to be above its long term target. The point can be put in one more way. 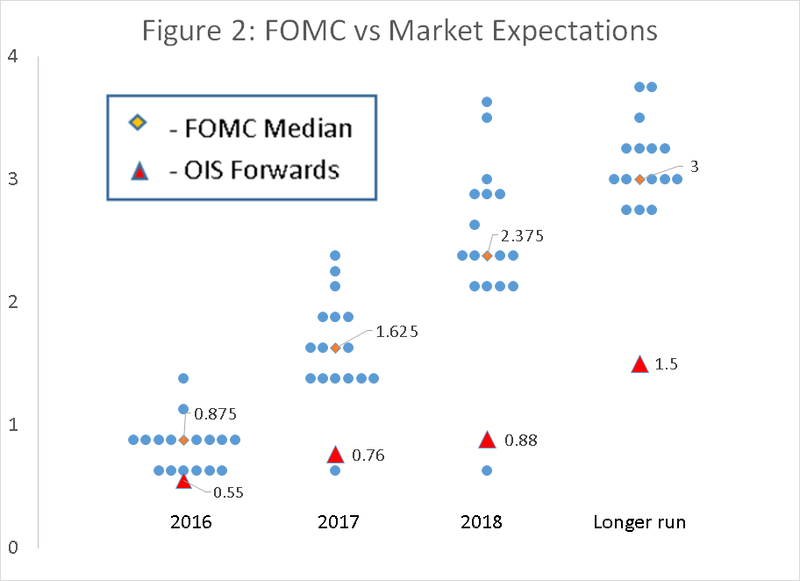 The Fed’s dots forecast refer to a modal scenario of continued recovery. They see inflation rising to 2 percent only in 2018. Why shouldn’t they prefer a path with more demand, inflation at target sooner, more stimulus as recession insurance, and a small margin of extra inflation as a buffer against the next recession? Those who think that raising rates somehow helps prepare to be counter-cyclical are confused. Given lags raising rates now would increase the chances of recession along with the likely severity. Raising inflation and inflation expectations best prevents and alleviates recession. There is the further point that the logic that led to the adoption of the 2 percent inflation target years ago suggests that it is too low now. As brought out in a famous colloquy between Janet Yellen and Alan Greenspan the case for a positive inflation target balances the benefits of stable money with the output cost of lowering inflation and two ways that positive inflation is helpful—the periodic need to have negative real rates, and inflation’s role in facilitating downward adjustment in real wages given nominal rigidities. All of the factors pointing towards a higher inflation target have gained force in recent years. Regardless of whether they believe in secular stagnation, almost everyone agrees that neutral real rates have declined 100 basis points or more. This means there will be more frequent need for negative real rates. Slowing underlying wage growth means that there is more pressure for downward adjustments that are facilitated by inflation. Experience has proven that Yellen was correct to be skeptical of the idea very low inflation rates would improve productivity. And it is plausible that the error in price indices has increased with the introduction of new categories of innovative and often free products. This means that if a two percent inflation target reflected a proper balance when it first came into vogue decades ago, a higher target is probably appropriate today. This is another reason to allow inflation to rise above 2 percent. Second, the theoretical consideration that the Fed should not raise rates until inflation is clearly above target is reinforced by the current data flow. Long term inflation expectations are depressed and declining, as shown in TIPS (inflation-indexed) government bonds, which I have adjusted to the Fed’s preferred PCE price index. Note that expected inflation is back near record low levels despite oil prices having risen about 70 percent from their February levels. The Fed has in the past counterbalanced declines in market inflation expectation measures by pointing to the relative stability in surveys-based measures. This argument is much harder to make now that consumer expectations of inflation have broken decisively below their all-time lows even as gas prices have been rising. There is of course the question of a possibly overheating labor market as a source of future inflation. While last month’s highly disappointing employment report was a jolt to most observers, the Fed’s summary employment conditions index has been flashing yellow since the beginning of the year. Declines in this measure have presaged recession half of the time and uniformly been followed by rate reductions rather than rate increases. Embedded inflation expectations are low and declining. 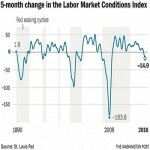 Comprehensive measures of the labor market are deteriorating and growth is at best mediocre. Meanwhile inflation is clearly below where the Fed should want it. The right concern for the Fed now should be to signal its commitment to accelerating growth and avoiding a return to recession, even at some cost in terms of other risks. This is not the Fed’s policy posture. Watching the Fed over the last year there is a Groundhog Day aspect. One senses they really want to raise rates and achieve a more “normal” stance. But at the same time they do not want to tighten when the economy may be slowing or create financial turmoil. So they keep holding out the prospect of future rate increases and then find themselves unable to deliver. But they always revert to holding out the prospect of rate increases soon, partly for internal comity and partly to preserve optionality. Over the last 12 months nominal GDP has risen at a rate of only 3.3 percent. We hardly seem in danger of demand running away. Today we learned that Germany has followed Japan into negative 10 year rates. We are only one recession away from joining the club. The Fed should be clear now that its priority is not preventing a small step up in inflation, which in fact should be welcomed, or returning interest rates to what would have been normal to a world gone by. Instead the Fed should focus on assuring adequate growth in both real and nominal incomes going forward. I have an Op-Ed in the Boston Globe today on infrastructure addressing the issue of quality rather than quantity of investment. Rachel Lipson and I describe the fiasco that has emerged from what should have been a routine maintenance project on the Anderson Memorial Bridge over the Charles River next to my office. Though the bridge took only 11 months to build in 1912, it will take close to 5 years to repair today at a huge cost in dollars and mass delays. Investigating the reasons behind the bridge blunders have helped to illuminate an aspect of American sclerosis—a gaggle of regulators and veto players, each with the power to block or to delay, and each with their own parochial concerns. Every actor – the historical commission, the contractor, the environmental agencies, the advocacy groups, the state transportation department — is reasonable in his or her own terms, but the final result is wildly unreasonable. At one level this explains why, despite the overwhelming case for infrastructure investment, there is so much resistance from those who think it will be carried out ineptly. The right response is to advocate for reforms in procurement policies, regulatory policies and government procedures to make the investment process more efficient and effective. This is all clear enough. At another level, though, our story may illustrate phenomena that go way beyond infrastructure. I’m a progressive, but it seems plausible to wonder if government can build a nation abroad, fight social decay, run schools, mandate the design of cars, run health insurance exchanges, or set proper sexual harassment policies on college campuses, if it can’t even fix a 232-foot bridge competently. Waiting in traffic over the Anderson Bridge, I’ve empathized with the two-thirds of Americans who distrust government. Years ago as President of Harvard, I did various events with the late Boston Mayor Tom Menino. I was always struck by his attention to the little things — while we waited at a playground, he would check the fence for holes, or when we visited a school, he would note the missing tiles. At the time, it seemed odd and micromanaging. Over time, though, I’ve come to appreciate what he intimately understood: Faith in government’s ability to do big things depends on its success in executing on routine responsibilities. We do not want to learn what we can get used to. I’m sure once the historical commission had delayed the bridge for many months, there was an attitude of “What’s another couple?” In a broader sense, the Anderson Memorial Bridge tale tees up a bigger question. Where is the outrage? Why didn’t the governor or the mayors of Boston and Cambridge act? What about the great free press? We seem to be caught in a dismal cycle of low expectations, poor results and shared cynicism. Data collection is the ultimate public good. On Wednesday I spoke at a World Bank conference on price statistics. While price statistics are not usually thought of as a scintillating subject, I got a great deal of satisfaction out of preparing and presenting my remarks. In part this was because my late father Robert Summers focused his economic research on International price comparisons. It was also because I am convinced that data is the ultimate public good and that we will soon have much more data than we do today. Second, if mathematics is the queen of the hard sciences then statistics is the queen of the social sciences. I gave examples of the power of very simple data analysis. We first learned that exercise is good for health from the observation that in 1940s London bus conductors had much lower death rates than bus drivers. Similarly data demonstrated that smoking was a major killer decades before the biological processes were understood. At a more trivial level, Moneyball shows how data-based statistics can revolutionize a major sport. Third, I urged that what “you count counts” and argued that we needed much more timely and complete data. I noted the centrality of timely statistics to meaningful progress towards Sustainable Development Goals. In comparison to the nearly six year lag in poverty statistics, it only took the USA about three and a half years to win World War II. Fourth, I envisioned what might be possible in a world where there will soon be as many smart phones as adults. With the ubiquitous ability to collect data and nearly unlimited ability to process it will come more capacity to discover previously unknown relationships. We will improve our ability to predict disasters like famines, storms and revolutions. Communication technologies will allow us to better hold policymakers to account with reliable and rapid performance measures. And if history is any guide we will gain capacities on dimensions we cannot now imagine but will come to regard as indispensable. This is the work of both governments and the private sector. It is fantasy to suppose data, the ultimate public good, will come into being without government effort. Equally, we will sell ourselves short if we stick with traditional collection methods and ignore innovative providers and methods such as the use of smart phones, drones, satellites and supercomputers. That is why something like the Billion Prices Project at MIT, which can provide daily price information, is so important. That is why I am excited to be a Director and involved with Premise – a data company that analyzes information people collect on their smartphones about everyday life, like the price of local foods – in its capacity to mobilize these technologies as widely as possible. That is why Planet Labs, with its capacity to scan and monitor environmental conditions, represents such a profound innovation. If we really valued excellence, we would single it out. Catherine Rampell’s column this week reminded me of an issue that has long interested me as an economist and as a president of Harvard. I could never quite decide whether this was just a wisecrack or it captured something important. The idea that it might well reflect is that inflation has much to do with different actors seeking to leapfrog each other and in the process setting off a spiral. In any event, I think that the pervasiveness of top grades in American higher education is shameful. How can a society that inflates the grades of its students and assigns the top standard to average performance be surprised when its corporate leaders inflate their earnings, its generals inflate their body counts, or its political leaders inflate their achievements? More than ethics classes this is a matter of moral education. And America’s universities are failing when “A” is the most commonly-awarded grade. If we really valued excellence, we would single it out. I did succeed in a small way as Harvard president in reducing the fraction of students graduating with honors from a ludicrous 90 percent to an excessive 55 percent. I wish I had been able to do more. Even more I wish that today’s academic leaders would take up this issue. It has seemed to me that a vast double standard regarding what constitutes prejudice exists on American college campuses. There is hypersensitivity regarding prejudice against most minority groups but what might be called hyper-insensitivity with respect to anti-Semitism. At Bowdoin College, holding parties with sombreros and tequila is deemed to be an act of prejudice against Mexicans. At Emory, the chalking of an endorsement of the likely Republican Presidential candidate on a sidewalk is deemed to require a review of security tapes. The existence of a college named after widely admired former US President has under the duress of a student occupation been condemned at Princeton. At Yale, Halloween costumes are the subject of administrative edict. The dean of Harvard Law School has acknowledged that hers is a racist institution, while the Freshman Dean at Harvard College has used dinner placemats to propagandize the student body on aspects of diversity. Professors acquiesce as students insist that they not be exposed to views on issues like abortion that make them uncomfortable. All I have discussed in the past, this is in my view inconsistent with basic American values of free speech and open debate. It fails to recognize that the a proper liberal education should cause moments of acute discomfort as cherished beliefs are challenged. Instances of anti-Semitism by this standard are ubiquitous in American academic life. Nearly a dozen academic associations have enacted formal boycotts of Israeli institutions and in some cases Israeli scholars. Student governments at dozens of universities have demanded the divestiture of companies that do business in Israel or the West Bank. Guest speakers and even some faculty in their classrooms compare Israel with Nazi Germany and question its right to continued existence as a Jewish state. Yet, with very few exceptions, university leaders who are so quick to stand up against microagressions against other groups remain silent in the face of anti-Semitism. Indeed, many major American universities including Harvard remain institutional members of associations that are engaged in boycotts of Israel. The idea of divesting Israel is opposed only in the same way that divesting apartheid South Africa was opposed—as an inappropriate intrusion into politics, not as immoral or anti-Semitic. That is why the recent statement of the University of California Regents is so welcome. It is forceful and clear on anti-Semitism, while at the same time recognizing the importance of free speech. It holds that “Anti-Semitism, anti-semitic forms of anti-Zionism and other forms of discrimination have no place at the University of California”. Let us hope that similar statements will be made by the leaders of private and public universities across the country. Corporate profits are near record highs. Here’s why that’s a problem. 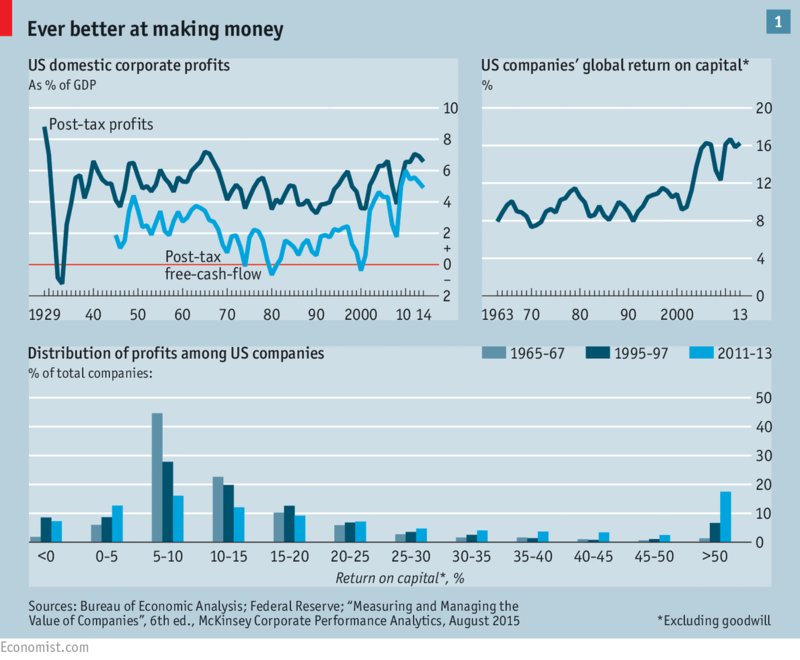 As the cover story in this week’s Economist highlights, the rate of profitability in the United States is at a near-record high level, as is the share of corporate revenue going to capital. The stock market is valued very high by historical standards, as measured by Tobin’s q ratio of the market value of the nonfinancial corporations to the value of their tangible capital. And the ratio of the market value of equities in the corporate sector to its GDP is also unusually high. All of this might be taken as evidence that this is a time when the return on new capital investment is unusually high. The rate of profit under standard assumptions reflects the marginal productivity of capital. A high market value of corporations implies that “old capital” is highly valued and suggests a high payoff to investment in new capital. This is an apparent problem for the secular stagnation hypothesis I have been advocating for some time, the idea that the U.S. economy is stuck in a period of lethargic economic growth. Secular stagnation has as a central element a decline in the propensity to invest leading to chronic shortfalls of aggregate demand and difficulties in attaining real interest rates consistent with full employment. Yet matters are more complex. For some years now, real interest rates on safe financial instruments have been low and, for the most part, declining. And business investment is either in line with cyclical conditions or a little weaker than would be predicted by cyclical conditions. This is anomalous, as in the most straightforward economic models the real interest rate is the risk adjusted rate of return on capital. And an unusually high rate of investment would be expected to go along with a high rate of return on existing capital. How can this anomaly be resolved? There are a number of logical possibilities. First, the riskiness associated with capital investment might have gone up and so higher rates of return could be simply compensating for higher risk rather than implying attractive investments. There are two major problems with this story. One is that available proxies for risk are not especially high in recent years. 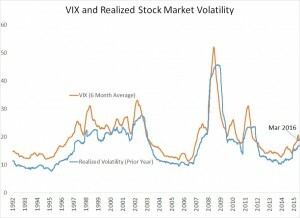 The chart below depicts realized stock market volatility and the VIX measure of expected volatility as implied by options. Another problem is that if capital returns have become far more uncertain, then the stocks should have become less attractive in recent years rather than more. In the last 7 years, the stock market has risen to 250 percent of its spring 2009 levels. A second explanation could be that a heightened demand for liquidity and a shortage of Treasury instruments, perhaps created by quantitative easing programs, has driven down bond yields, widening the spread between the rate of profit and these yields. This story does not provide a natural explanation for the relatively weak behavior of business investment. 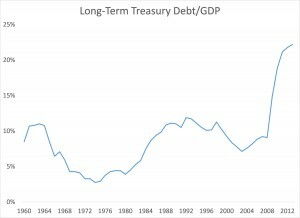 Further as Sam Hanson, Robin Greenwood, Joshua Rudolph and I pointed out in earlier work, the market is today being asked to absorb an abnormally high rather than an abnormally low level of long term Federal debt. On top of that, if Treasuries were in short supply, one would expect that they would have their yield bid down relative to market synthesized safe instruments. 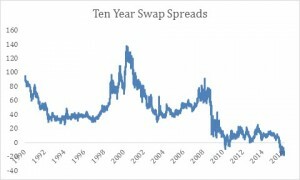 Yet the so-called swap spread is actually negative and Treasury yields (vs swaps) are unusually high relative to history. Third, it could be that higher profits do not reflect increased productivity of capital but instead reflect an increase in monopoly power. If monopoly power increased one would expect to see higher profits, lower investment as firms restricted output, and lower interest rates as the demand for capital was reduced. This is exactly what we have seen in recent years! Is the increased monopoly power theory plausible? The Economist makes the best case I have seen for it noting that (i) many industries have become more concentrated (ii) we are coming off a major merger wave (iii) there is some evidence of greater profit persistence among major companies (iv) new business formation has declined (v) overlapping ownership of companies that compete has become more common with the rise of institutional investors, (vi) leading technology companies like Google and Apple may be benefiting from increasing returns to scale and network effects. The combination of the fact that only the monopoly power story can convincingly account for the divergence between the profit rate and the behavior of real interest rates and investment, along with the suggestive evidence of increases in monopoly power makes me think that the issue of growing market power deserves increased attention from economists and especially from macroeconomists.